When i create a beam, i can not put it in the point i want, because it go or more to the right, or more to the left. So i put the beam as the program propose and after i change the dimensions by myself. I click to the beam and go to the window with View/Modify Geometry and type coordinates. But it don't work right!!! After that the program create others beams . You should use the correct Snap Tools in order to insert the beam properly. 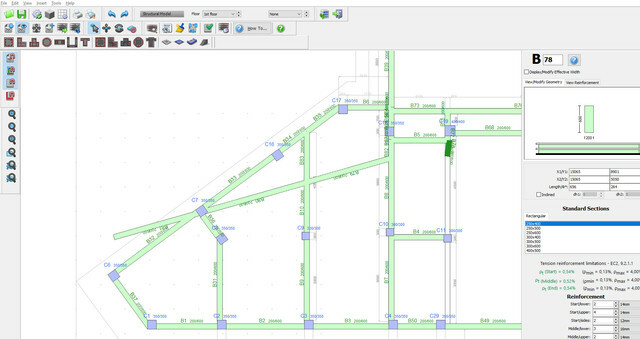 Further, you may modify the Snap Step from the Snap and Grid Properties module.